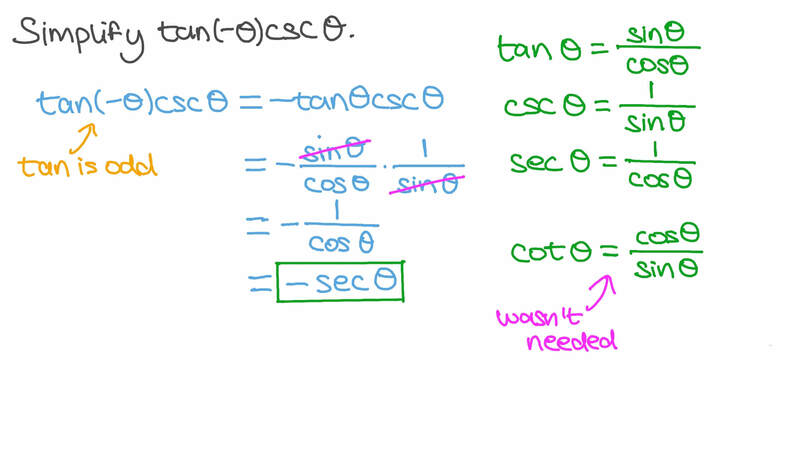 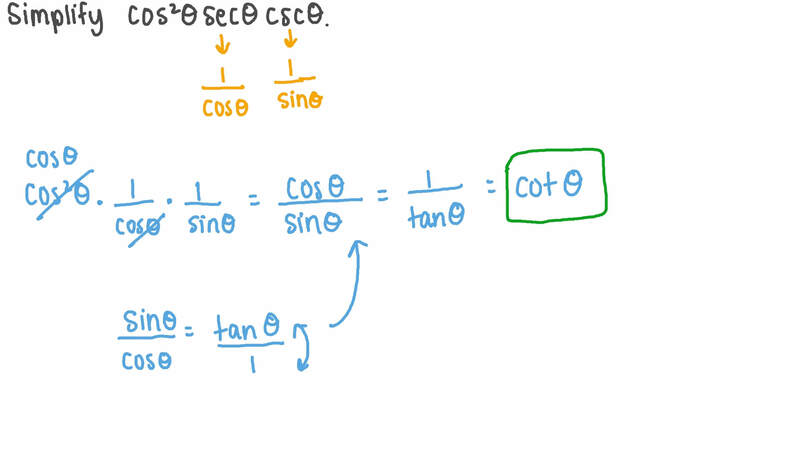 In this lesson, we will learn how to simplify a trigonometric expression. 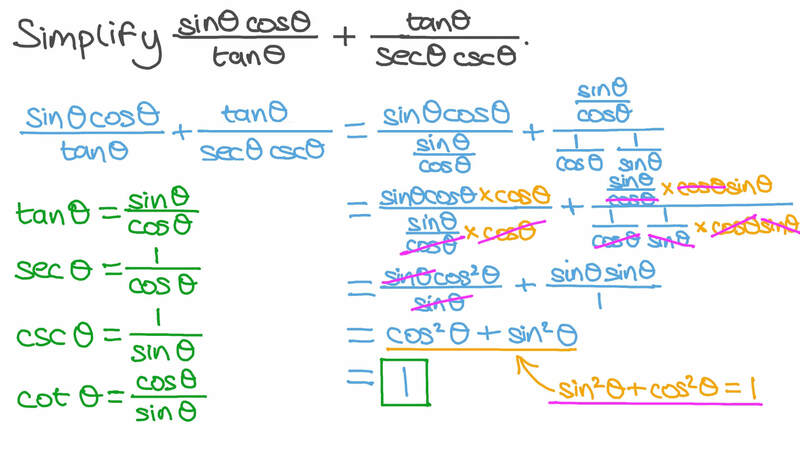 Simplify s i n c o s t a n t a n s e c c s c 𝜃 𝜃 𝜃 + 𝜃 𝜃 𝜃 .
Simplify c o s s e c c s c 2 𝜃 𝜃 𝜃 .
Simplify c o s c s c s i n 𝜃 𝜃 𝜃 .
Simplify t a n c s c ( − 𝜃 ) 𝜃 .
Simplify t a n s i n s e c 𝜃 𝜃 𝜃 .